Probably our best healthy muffin recipe we’ve ever made in the history of the universe. These grain free and gluten free blueberry almond muffins are a must cook recipe! Everyone will love them! They’re fluffy, moist, light and just delicious. What more can you want in a muffin?! Plus the frosting makes them all kinds of magic and super pretty! We think they’d be perfect for a healthy high tea. Or just snack time. Actually, they’d also be perfect for breakfast! Ok… they’re actually perfect for anytime you are hungry. Glad we sorted that out. We’ve been using less sweeteners like honey, maple and rice malt syrup. Mostly due to the high fructose levels and because we’ve been experimenting a lot with xylitol. We love it so much! And we can’t wait to share more recipes using this sweetener! It makes healthy baking super easy and bloody yum. Yay for healthy delicious muffins! 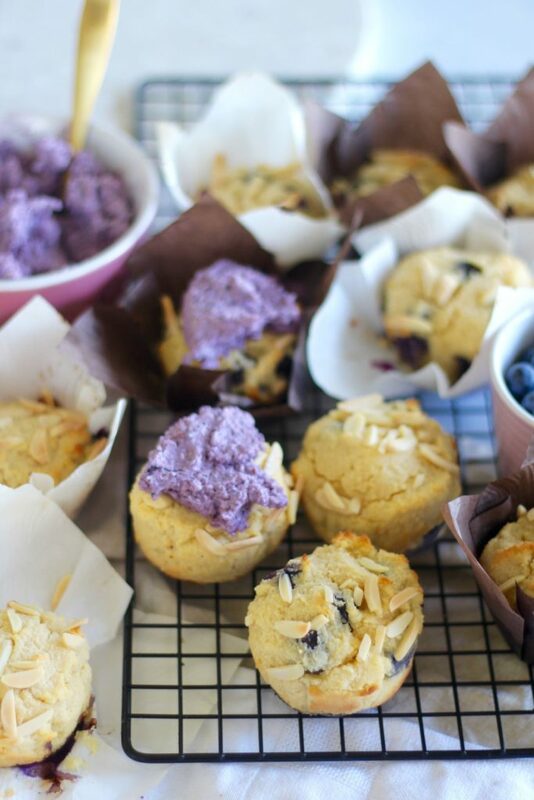 We already wanna make these grain free and gluten free blueberry almond muffins again. Yes, already! But we’re thinking next time we use strawberries instead! Oh yeh, yum. Oh and imagine adding chocolate. We vote YES! We’ve also added this epic recipe to the sweet treat section in the Get Merry app. 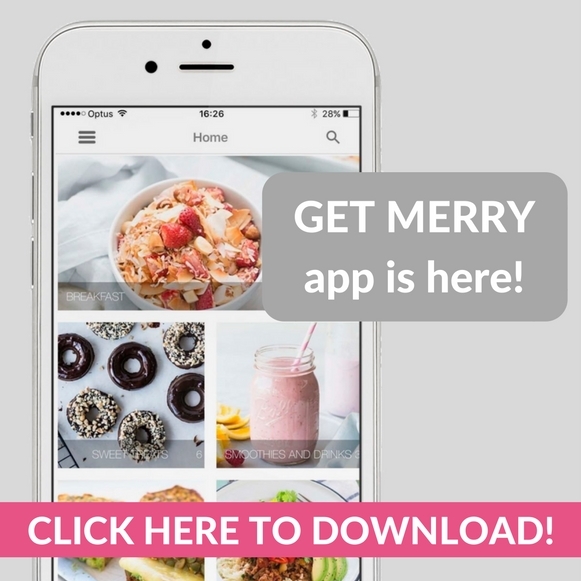 Almost every single recipe from this website is on the Get Merry app. How good! It makes it super easy to find the healthy recipe you’re after! We’ve also been adding a special app only recipe each and every week. Find out more about the app HERE! 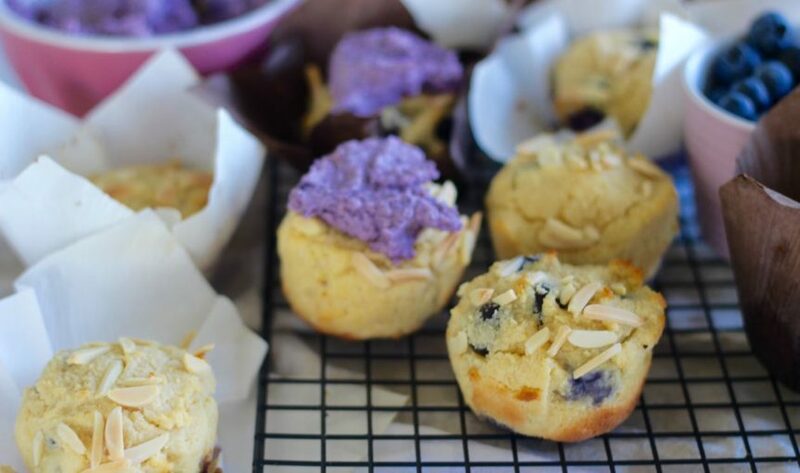 If you make these gluten free blueberry almond muffins let us know! We love it when we see your delicious Merrymaker creations on social media. 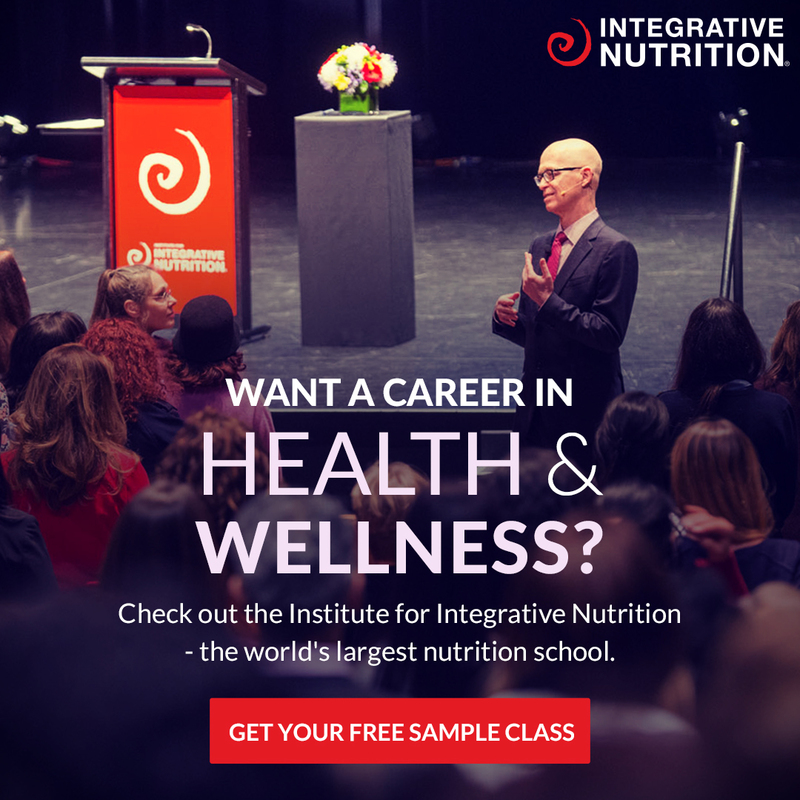 Find us on Instagram and Facebook and Pinterest! Preheat oven to 180°C (350°F) and line 12 muffin trays with muffin cases. Add the coconut milk, butter, eggs and vanilla, mix until combined and smooth. Finally add the blueberries and almonds and mix until just combined. Evenly divide the mixture and fill the muffin cases with batter. Place into the oven for 25 minutes or until golden brown. Allow to cool slightly and then dollop with large amounts of blueberry frosting! For the frosting, simply whiz all ingredients in your blender until smooth. You can freeze these muffins and then defrost when it's muffin time! They make the perfect grab n go brekky!